"Kind of like indie, kind of like 1960s. Sort of a mix of Woodstock and hip cool San Francisco." I took a picture of Carolin in Santa Cruz last December. 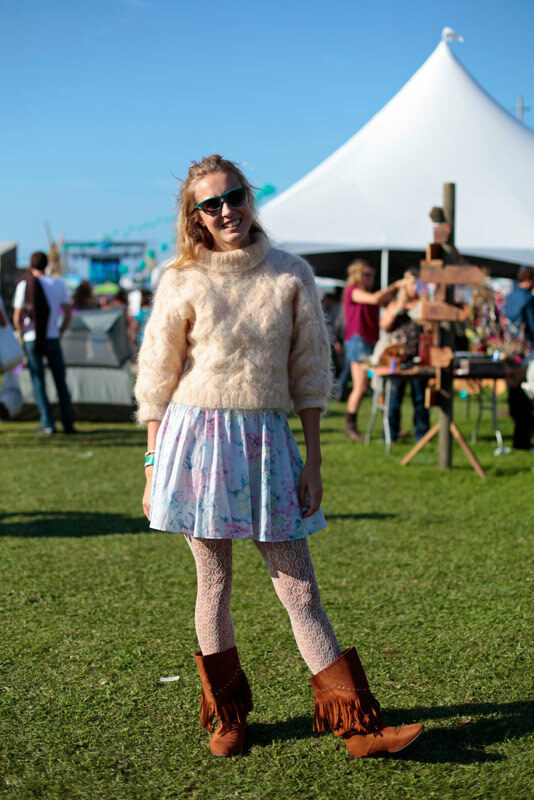 It's good to know that she has a consistent love of fluffy sweaters and slouchy boots. Her boots, now with fringe.